I recently presented a talk at the Central Forum (a lecture series held at the Central United Church in Sarnia) entitled, “Passage to Point Edward: Survival of a Railway Town.” In this blog I will outline some of “Station Stories” associated with the Point Edward Grand Trunk Railway Station. If you are interested in a more detailed look at the rise and decline of the Grand Trunk Railway Station in Point Edward, you can access my research notes or download my PowerPoint slides from the Central Forum presentation. The Grand Trunk arrived in Point Edward in November 1859. A grand station-hotel was built to mark the Canadian Terminus of the rail line, the grandest Grand Trunk structure west of Toronto. An impressive three-storey white brick building, the station-hotel was 200 feet long and approximately 40 feet tall. Features included first and second class waiting rooms, dining facilities, apartments for the stationmaster and his family, and overnight accommodations. The station stood on the waterfront on land that is now partially beneath the Blue Water Bridge and the west balcony featured a beautiful view of the St. Clair River and Lake Huron. The station was also complimented by its landscaping, including gardens, flower beds, and a fountain. Business boomed in Point Edward, spurred by the rail line and the connections it offered to the rest of North America. Unfortunately, the opening of the St. Clair Tunnel in 1891 marked the end of rail service in Point Edward. All rail focus shifted to Sarnia, leaving the grand Point Edward station deserted and forcing hundreds of local residents to follow their railway jobs to Sarnia (two thirds of the population left). Although it met a sad demise, the railway station had some interesting stories along the way. 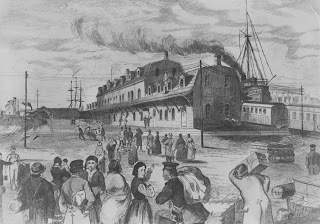 The station building was destroyed by fire in September 1871. The fire was discovered by stationmaster Mr. John McAvoy. The blaze started in a barrel of hot ashes in a shed at the north end of the building, and it was encouraged by a gusty wind off the lake; within half an hour, the whole hotel burned to the bare brick walls. The Sarnia Observer reported on September 15, 1871, “[Mr. McAvoy] lost all his personal belongings including $660 cash.” Apparently the cash was stuffed in the pocket of a vest he was unable to retrieve from the fire. Although he lost his money, McAvoy did escape with his life and the life of his family, also rousing the half-suffocated bartender from his bed before he could succumb to the smoke. The red brick telegraph and ticket office at the south end of the building were spared when firefighters tore up a section of the wooden station platform and soaked the wood to prevent further flames spreading. 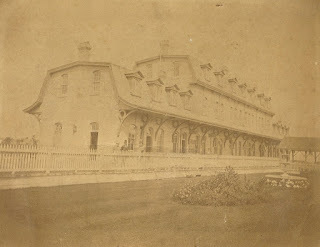 Soon after on September 22, the Sarnia Observer reported that the Grand Trunk would rebuilt the station-hotel in the spring; in fact, construction began on December 1 of that year. Construction continued in earnest throughout the chilly Canadian winter. On April 19, 1872 the Sarnia Observer announced “Grand Trunk Ry. station, at Point Edward nearly re-built after the fire.” The new station had many of the same features as the old, including a customs office, agent’s office, waiting room, ticket office, ladies waiting room, bar dining room, kitchen and pantry, with the agent’s private dining room on the second floor. The building had fifty apartments in total. It cost $20,000 for the reconstruction. On September 14, 1860 the Point Edward railway station entertained perhaps its most famous guest. 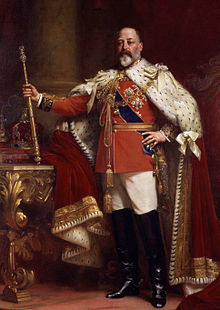 The Prince of Wales, Albert Edward (later Edward VII), was scheduled to stop in Point Edward and Sarnia after touring Toronto and London. There was some confusion in the week leading up to his visit regarding when and how the Prince would travel to Lambton County, and County Warden Archibald Young made sure that he personally traveled to Toronto himself to confirm the details. 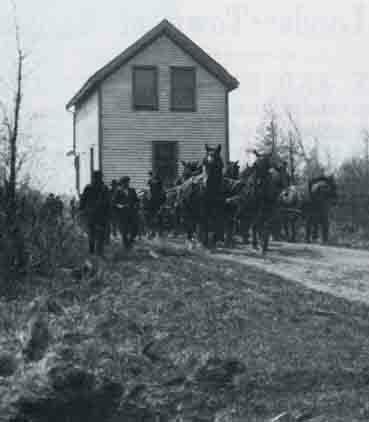 Early in the morning crowds from Sarnia and Point Edward as well as travelers from across the county (arriving on foot, horseback and cart) crowded into the gallery where the opening address would take place. A Reception Committee including local dignitaries greeted the Prince and there were a series of formal addresses. A large contingent of Native Americans (estimated between three and four hundred) also came to the formal reception. Some came in traditional dress with feathered headdresses and painted faced, while others wore European-style clothing. Native American H.P. Chase was selected to speak on behalf of his people, as well as Ogishta, an Objibeway Chief who addressed the Prince in his native tongue, with the help of an interpreter. The Grand Trunk railway station in Point Edward also served as a stop on the journey of immigrants settling in Western Canada. 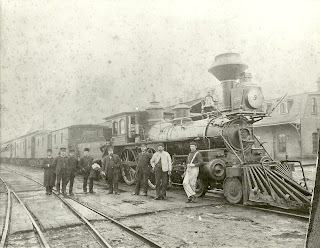 In 1860 the Beatty Transportation Company began a steamship service from the Point Edward station to Duluth on the aptly named steamer Manitoba. West of the Grand Trunk station a shed was built for immigrants to take a break on their long journeys. 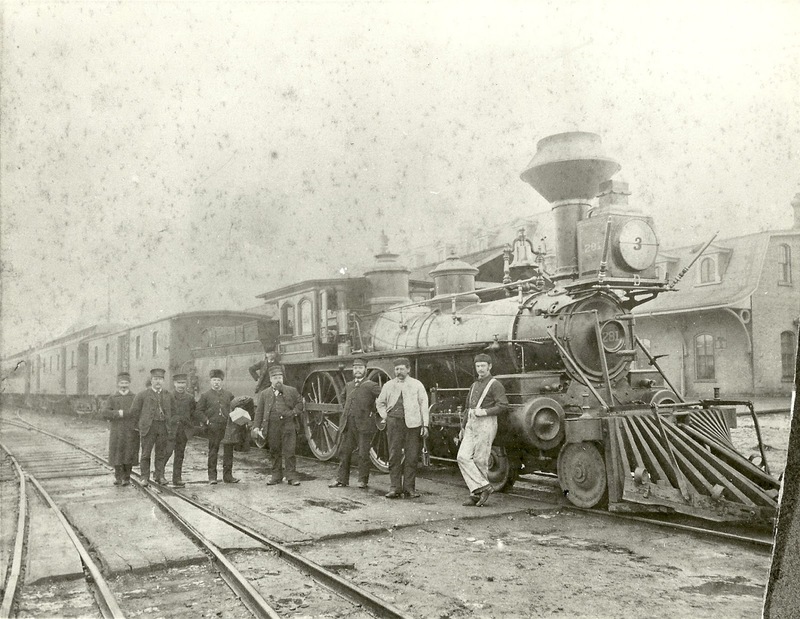 Immigrants crammed into colonist cars on trains were in need of clean clothes and a bath before continuing the long journey. In front of the shed was an enclosed space on the river where train loads of immigrants (500 – 1000 people) could wash themselves and their clothes before loading onto steamboats for farther destinations. November 13, 1875, vol. XII, no. 20, 309. The sketch by J.C. MacArthur shows a large group of Icelandic settlers arriving in Point Edward on their way to settle on the shores of Lake Winnipeg, beyond the borders of Manitoba in the Northwest Territories, in October, 1875. 266 Icelandic immigrants were traveling together to the settlement. The eruptions of Mount Hecla had left hundreds homeless in Iceland, and the Canadian government sent agents there to provide government loans to families who would come and settle in Canada. Point Edward served as a point of call for these and other immigrant families settling across western Canada and the United States. My great grandfather was the General Superintendant for Motor Powers with the Grand trunk. We have some interesting pictures and stories.. I would be very interested in seeing those photos. Hi Derek, if you are ever able to visit our facility in Wyoming, we would be interested in seeing those pictures and hearing the associated stories. You can contact us via email at archives@county-lambton.on.ca if you are interested in setting up an appointment! Hi Mike, thank you very much for sharing that story! We have printed the excerpt from the Edison book and added it to our files on royal visits to Sarnia. Thanks for your keen eyes – your estimate of 40 feet for a three-storey building is much more accurate! I have revised the text to reflect this change. Your digital railway mapping project is very interesting! Thank you for pointing that out! 1971 was a slip of the fingers – the blog has been revised to read 1871, the correct year. Thanks for your keen eyes. I’ll try to include lots of historical pictures with future blog posts! Much To Learn About Maps! Ontario Vital Statistics: New Years Are Here! Where Did Our Collection Come From?